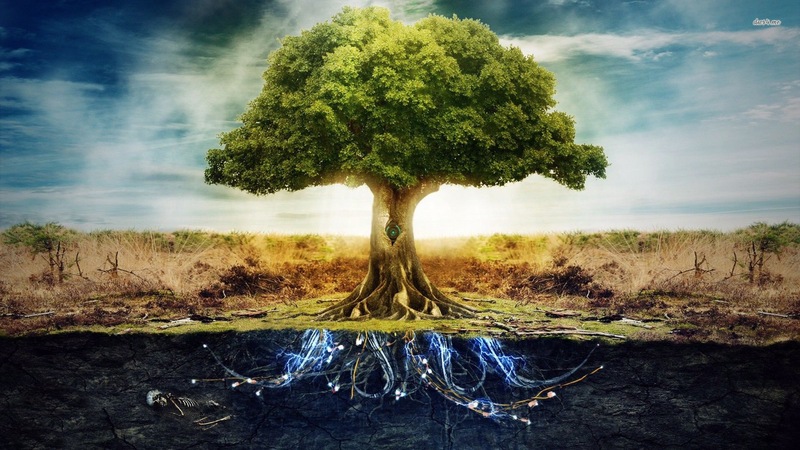 Many people have speculated about the tree of life and have tried to discover it for the world today. God has actually told us how to experience it. There are four key insights laid out for us in the book of Proverbs. The Holy Spirit released through Solomon some ancient secrets that have timeless application. 1. The first is wisdom. These are some of the things Solomon said about wisdom in Proverbs 3:13-18: blessed is the one who finds wisdom, wisdom is better than silver and gold, better than jewels, nothing desired can compare with her, her ways are pleasant and peace, and she is a tree of life to those who find her. James 1:5 says that if we ask God for wisdom He will give it to us. The power to live a life filled with wisdom brings paradise to every area of life (home, work, relationships, etc). 2. The second key to the tree of life is called the fruit of the righteous. It’s mentioned in Proverbs 11:30. How does fruit grow? When someone plants a seed. When we share the message of the kingdom with people it makes us come alive! And when that seed begins to sprout it will make them come alive! Also mentioned in this verse is that a person who wins souls is wise. I make it my aim to share Christ with people every day and when I don’t I feel like something is missing. I crave the joy of eating from the tree of life! 3. Proverbs 13:12 says, “Hope deferred makes the heart sick, but a desire fulfilled is a tree of life.” This is a powerful statement about hope. If we place hope in things or people that continue to fail us it makes our hearts sick. I believe this can also make us sick physically as our bodies manifest what is happening inside of us. Jesus is called the “Desire of the nations” in the book of Isaiah. If we learn to place our hope in Him and desire Him above all else we will experience paradise as we watch him come through for us time and time again, and as we feel His presence in our lives daily. He may not always do things the way we expect or want, but he always works in a way that brings you the most satisfaction and God the most glory. 4. The fourth key is found in Proverbs 15:4. “A gentle tongue is a tree of life, but perverseness in it breaks the spirit.” The word “gentle” also means “healing.” Words that are kind and seek to bring grace to others are more powerful than you think. We can actually change a person’s day or even set their life on a pleasant path by speaking words of grace and life. At the same time we can destroy people with our words if we choose. We live in a society where everybody wants to be heard. Facebook is a great tool for this. Everyone has a voice and what we say goes a long way my friends. In Proverbs 4 we are told to guard our hearts because from it flows the spring of life. If we fill ourselves with the love of God and His hope we bring that same hope to others. If our hearts are continually fixed on foul things, that is what comes out of our mouths and that which was intended to be a spring of life becomes a spring of bitterness and death. Speak life. God created humans with a desire for paradise. Paradise is something we have to choose. In the garden there was a choice to be made. I used to wonder why God put the tree of the knowledge of good and evil in the garden. But it hit me one day that there had to be a choice. One aspect of paradise is knowing that we chose love over something false. Marriage is supposed to be paradise, but selfishness can make it seem like hell. Every day we have choices to make and if we choose wisely we actually usher heaven right into our daily lives. “Your kingdom come, your will be done on earth as it is in heaven” is a reality. Jesus knew what He was saying and we can and will experience it if we go after it as though it’s right in front of us, because it’s only a choice away. Grace and peace 2u. Previous Previous post: What does it mean that Christ followers are “seated in Heavenly places”?